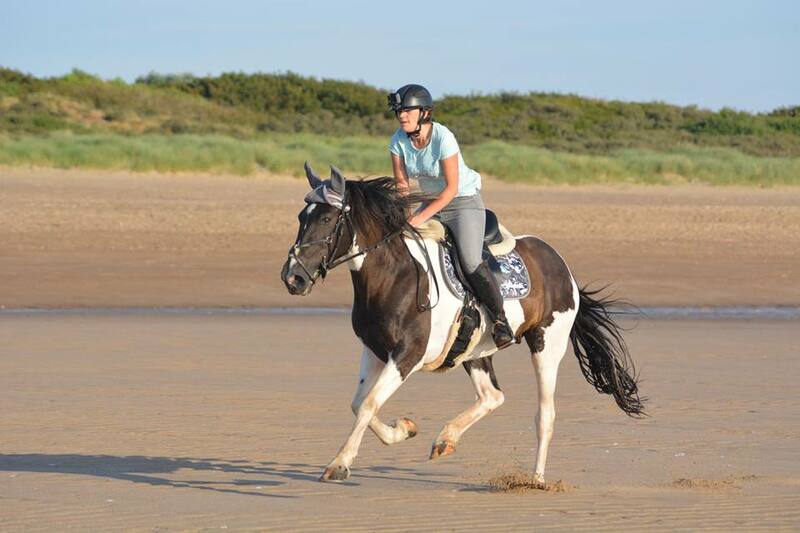 Danielle Rowles’ beach ride wasn’t all plain sailing! You’re not really a rider unless you’ve fallen off seven times — or so they say! Julia Molloy and her horse were confronted by a pheasant while riding out recently. “I went right and my horse went left,” she says. Our #hack1000miles ambassador Joanna Holland took an unexpected tumble in the woods recently when her mare spooked mid-canter, possibly at a horseshoe! She landed with a thud, but was quickly on her feet and laughing too. She even uploaded her footage in our Hack 1000 Miles Facebook group! Kelly Hudson recalls going for an unexpected jog when her horse napped and left her a mile from home. “I felt like Forest Gump running after him,” she laughs. And Kelly’s not the only one! Sarah Beanland chased her horse for nearly five miles after parting company nine miles into her ride. “If you fall off mid hack, then chase your horse for an hour around the countryside, do you include the mileage on foot?” she asks. Our verdict – yes, you deserve it! As if falling off from her mare Luna wasn’t enough for Laura Shannon, her friend Leonie Chester-Lee’s horse Leo disturbed a wasp’s nest as she tried to re-mount! “Gotta laugh at life, even when you’re on the floor in a heap,” she smiles. 7 Sometimes, hopping off is safest! Sometimes it is necessary and safer to tackle some hazards on foot. Jackie Williams chose to dismount to pass a cement mixer when riding out solo for the first time in a while. But then she got back on to tackle tricky road junctions and crossing a stream without a care! Could you Hack 1000 Miles? Find out more about our free, achievable challenge here.